If you are using latest version of the BitTorrent client uTorrent application for download torrent file then here is a warning for you all. The latest version of the Utorrent installation file came up with the bundle of the unwanted application know as Epic Sale, which is generally a bitcoin mining software. 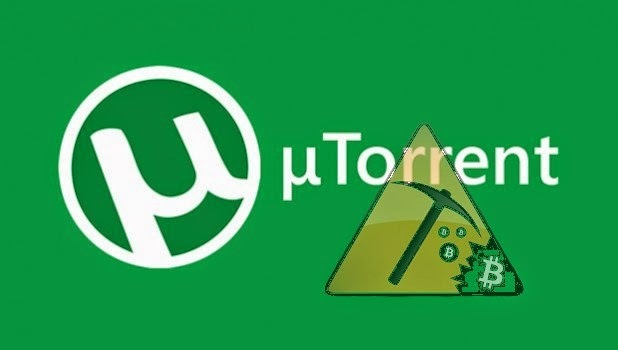 On the official forum of the Utorrent, users have reported that uTorrent had silently installed cryptocurrency software from Epic Scale as part of version 3.4.2 build 28913. Once installed, Epic Scale uses some of the computer's spare processing power to generate cryptocurrency (such as Bitcoin or Dogecoin). Utorrent manager also mentioned that installing the Epic Share application on the user's computer was with the users agreement acceptance. uTorrent employee says Epic Scale can be easily uninstalled from Add/Remove programs in windows OS. After the uninstallation of the application, software folder will remain on the system drive of the computer within Programs Files folder, users can safely delete this folder once the uninstall is complete. If you see the End-User-Agreement of the latest uTorrent, you see notice that utorrent have clearly mentioned that application came with the bundle of the Epic Scale, hence by accepting the agreement for installing the utorrent users are also accepting to install Epic Scale. This is why, it is recommend to read all the policy agreement be for installing or download in the application onto your system. Claim free bitcoins at Moon Bitcoin. 163 satoshis every 1 hour.